When Installing A Fence, Who Contacts Dig Safe NY? How Often Do I Need To Stain My Pressure-Treated Fence? Do I Need A Survey When Installing A Fence? 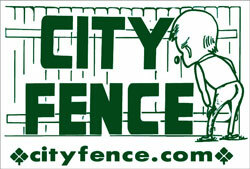 If You choose to have City Fence Install Your fencing, we will contact Dig Safe, NY to have the public utilities marked. Your private utilities, power to shed, pool, etc., and any underground main power from street or power pole, will all need to be marked by a private locator. 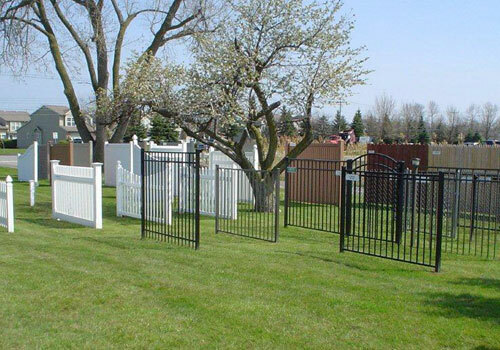 There is an additional charge for this - our salesman will discuss this fully with you before you purchase your fence. Wood, PVC, & Chain Link Fencing require posts to be set in wet cement or concrete. This takes about 7 days to cure before the fencing panels can be installed. Ornamental fencing installation however, does usually get completed in one day. Pressure-treated fencing does not need to be stained to be preserved. Staining is usually done for the sake of aesthetic reasons only. If you do decide to stain your fence, it is a requirement to wait about 6 months from the time your fence is installed before it can be stained. Not all towns require a permit, approximately 50% of towns in Western New York do. Your salesperson will have this information, or you can visit www.generalcode.com/webcode2.html. You will need to select NY state, then your Town. In the Search box enter "Fence Codes" and search. Again, your salesman will discuss this fully with you before you purchase your fence.